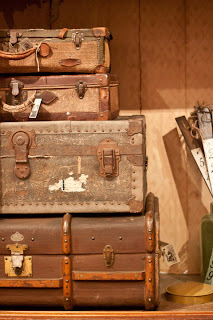 We LOVE to imagine where these pieces of baggage have been~ the trips they have traveled & the stories that they hold. 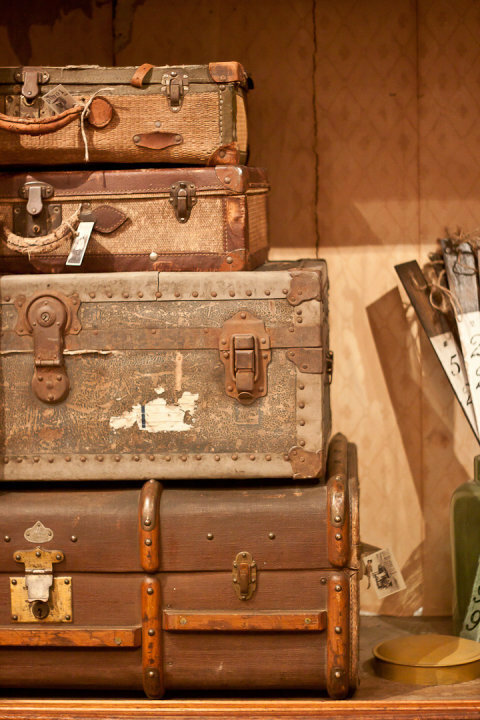 There are so many creative things you can do with suitcases & they have such personality. They are so fun to use in all types of design projects. 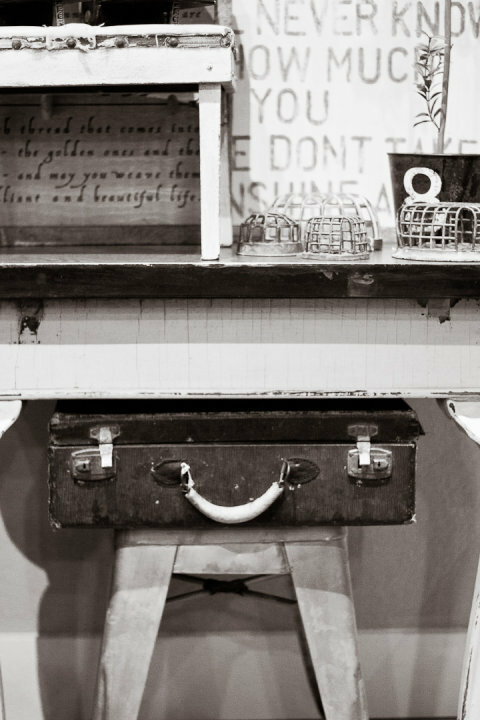 They can be stacked up as an end table or use a large trunk as a coffee table. The best part??? Added storage of course! 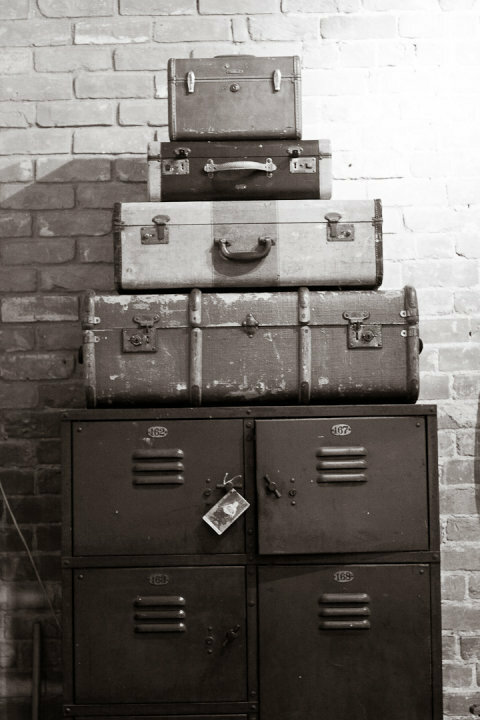 What do you do with your suitcases? 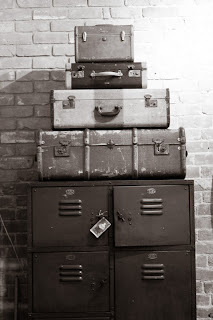 Oh how I adore those suitcases :) they'd look grrreat in my house doncha think? And the store rocks the world :) absolutely love it! ADORE the "you are my sunshine" sign but live in FL. Is it possible to order and have it shipped?